Plan An Easter Baby Shower | Unique Baby Shower Themes To Celebrate! Unique Baby Shower Themes To Celebrate! If you're planning an Easter Baby Shower, we have some very cute and creative ideas for Easter Baby Shower Favors, Printable Games, Easter Cupcakes ... and more. Easter Season is such a special time of the year! If you're having a baby around Easter or in the Spring season, this is a blessed time to enjoy. So, whether you're planning an Easter Patio Tea Party Shower, incorporating Spring flowers or just using Springtime as your theme, you'll want to be sure to check out all of our awesome ideas below. Just think, all of your family and friends will be near and you'll have a festive and fun mood to plan around. Have an Easter egg hunt for one of your games. Imagine the fun with the entire family to share in this special celebration! Planning An Easter Baby Shower? Discover new and exciting invitations, favors, gift ideas and more, below on this page, to Plan The Perfect Easter Baby Shower! Every event begins with an invitation. In researching Easter Baby Showers, we didn't find a whole lot of designs. So, we created our own using existing invitation designs. Go to the Easter Holiday Cards section, and select a design you like. Simply change the text to suit your style and wording. That's it! For the design to the left we used the "Paper Nest" Easter invitation. Try something different for your Easter Shower. Add some Easter Games to your Deluxe Baby Party Games Collection with over 75 printable baby shower games. There's no limit to the number of printouts you can make. Print one game or print them all for one low price. Serve your guests these Awesome Easter Shower Cupcakes or wrap them as favors. Get creative with these adorable Easter Basket Baby Shower Favors by making these cute baskets and filling the eggs with Easter eggs, jelly beans, or other Easter treats. First, frost the cupcakes with white icing. Bend a pipe cleaner or a piece of red licorice into an arch and push the ends into the sides of each cupcake. Shake the shredded coconut in a stainless steel bowl. Sprinkle on food coloring bit by bit, mixing vigorously to distribute the color. Place a pinch of shredded coconut on each iced cupcake. Now place three jelly beans on the "nest" of coconut. Tie a small ribbon bow on the pipe cleaner or licorice handle at a jaunty angle. Use decorative baby shower ribbons. Put one cupcake basket by each place setting at your Easter Baby Shower brunch or give them as favors. Check them out for more Easter ideas! Baby Shower Favor Candle ideas are also wonderful for an Easter shower. Light some strategically placed on end tables or around a centerpiece. to take one as they leave. individually wrapped Easter cookie favors to your guests. Tip: Order plain themed cookies without personalization, wrap in cellophane and tie with personalized baby shower ribbons. Do You Know Baby's Name? What An Adorable Surprise For Any Child! for the cutest baby shower decorations. Choose from beautiful basket designs, candy & floral bouquets, candy mix baskets and even a little something healthful with fruits and sweets. Your Family and friends will love these matching bunny invites, thank you cards, candy bar wrappers, and sweet favors that match this theme. Plan the Perfect Baby Shower for Easter. Having An Easter Garden Party Or Patio Tea Party? Looking for ideas with minimal clean-up ... aren't we all? Yes, plastic and paper products save the day, just remember to recycle, ok? Check out these adorable cupcake wrappers to Wow! your guests. For more awesome dessert ideas! Playfully posh. Children's furnishings, clothing, accessories and more pamper both kids and parents with sweet style. 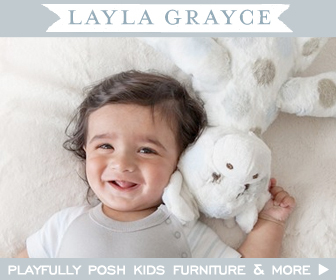 Find a full assortment of children's accessories & nursery décor. Shop for kids toys, mobiles, baby books, step stools, nightlights & more.